If you are interested in a hair salon booth rent you are reading the right article. Read on and then call (817) 823-7105 for more information about salon booth rentals. So, what is a hair salon booth rent? Imagine, instead of owning your own hair salon suite, with five or six chairs and rinsing stations, you own your own business in one room, or suite. That’s what the Salon & Spa Galleria business model is all about, placing you in a hair salon booth rental and turning you loose to succeed. Would you like to see our business model in action? Call the number above and arrange for a tour at one of our ten locations in the Greater Fort Worth area. In fact, we encourage you to talk to some of the hair stylists who own their own businesses at Salon and Spa Galleria. You can find them on our website, actual people who are leasing a salon suite from us and making it work with their own mini beauty shop. 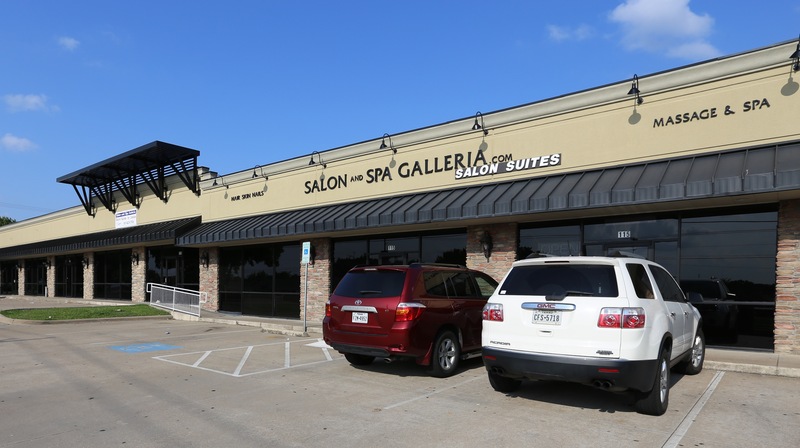 You can own your own mini beauty salon with Salon and Spa Galleria! It’s as simple as we say it is in this article, and it can literally happen within three or four weeks from this moment. Here’s how it works. You come in, tour one of our ten facilities, and choose a salon booth that works for you. You sign a lease contract. You can sign a short-term lease, as short as one week, or you can sign a long-term lease, as in a year or longer. We have leases as inexpensive as $50 per week, so your financial risk is very low. After you sign your lease, you are free to decorate your booth rental. Personalize it and make it your own, a reflection of your personality; we want it to be comfortable for you. While you are doing that, order your business cards and purchase any supplies you might need. In the meantime, we will be supplying any professional equipment you need, at no cost. We will be setting up your own professional web page on our web site. And we will be sending out a press release announcing to the business community your new business opening . . . again, at no extra cost. And when all that is done, you can put up your “open” sign and start your own business. As the saying goes, easy peasy! You will have 24/7 access to your luxury salon suite. You will have access to a full-time concierge to help you and your customers. You will be protected by security monitoring. And you will have friendly staff and ownership available should you run into any hiccups along the way. That’s the Salon and Spa Galleria business plan, and we would love to have you join us. The first step, then, is to call that number we gave you earlier, (817) 823-7105. Set up an appointment and a tour. Envision you running your own business and making the profits. Envision you being rewarded for your own talent and hard work at Salon and Spa Galleria. Let’s get it done! Call us today!